Pooch Hotel isn't just dog boarding suites. We also feature professional dog training, grooming, and spa treatments for your pet. While we know you’d love to stay home and play with your dog all day, that’s not always possible. That’s why we offer dog daycare. 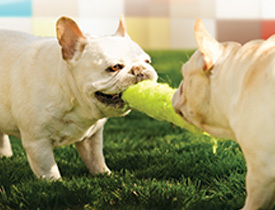 Our daytime guests enjoy playtime with other dogs in a safe and fun environment. Fresh, clean water is always available for staying hydrated, and our staff is always present to reward good manners. You can conveniently add professional dog training or spa/grooming services while your pet is with us, too. With our dog day care services, your dog will be safe, engaged, and loved all day long! 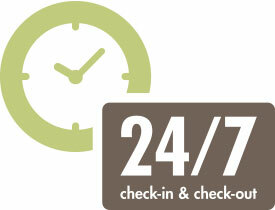 Our dog boarding suites are like a comfortable hotel for your pet. Each pet has a separate suite to call home, complete with cozy bedding, stylish ambiance, and lots of light. Your dog will also enjoy playtime with other four-legged friends and even swimming at select locations. A stay in our dog boarding suites can also be paired with additional services like professional dog training, spa, and grooming services. Would your pet enjoy a relaxing rubdown, pawdicure, or brush-out? Our experienced groomers and spa staff are here to help! From the basics, such as tooth brushing and gland expression, to perks like facials and one-on-one play, our spa provides a number of services for your dog’s unique needs. Add grooming or a spa treatment to a stay in our dog boarding suites or dog daycare for a convenient way to pamper your pet! Could your dog’s manners use some improvement? Professional dog training helps your pet become a better family member. All of our trainers are certified in positive dog training. Programs focus on your dog’s well-being by promoting dog-friendly communication, enrichment, compassion, and environmental management. Add professional dog training to dog day care or a stay in our dog boarding suites for your convenience.